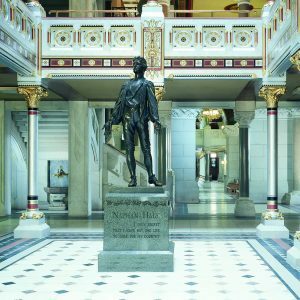 Civic | John Canning & Co. 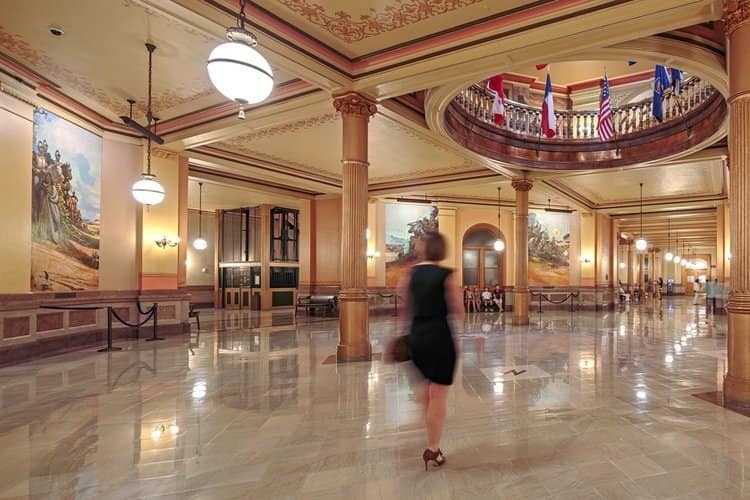 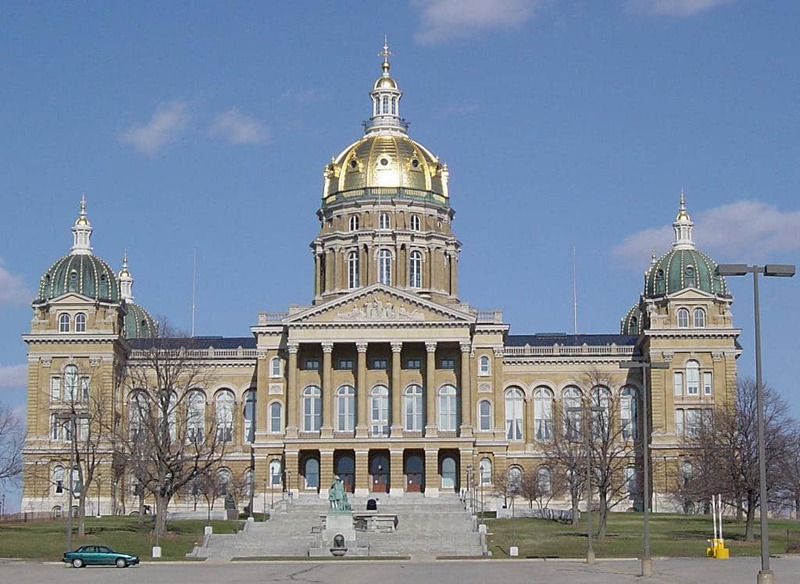 The historic restoration of state houses, federal landmarks, and municipal buildings preserves the country’s most extraordinary examples of historic interiors for generations to come. 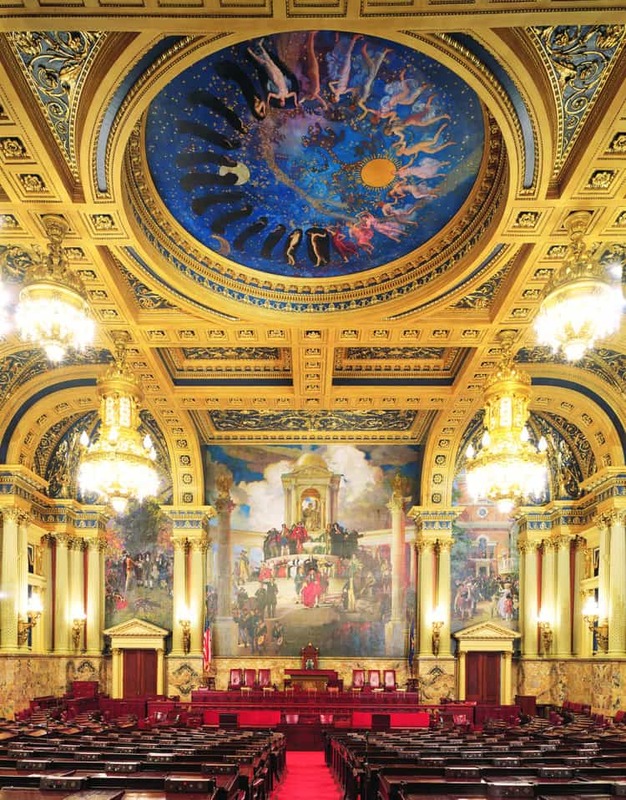 Murals by prominent artists like John La Farge, Elmer Garnsey, and John Singer Sargent are surrounded by architectural artwork – the combination of decorative plaster, gilding, and traditional decorative painting techniques. 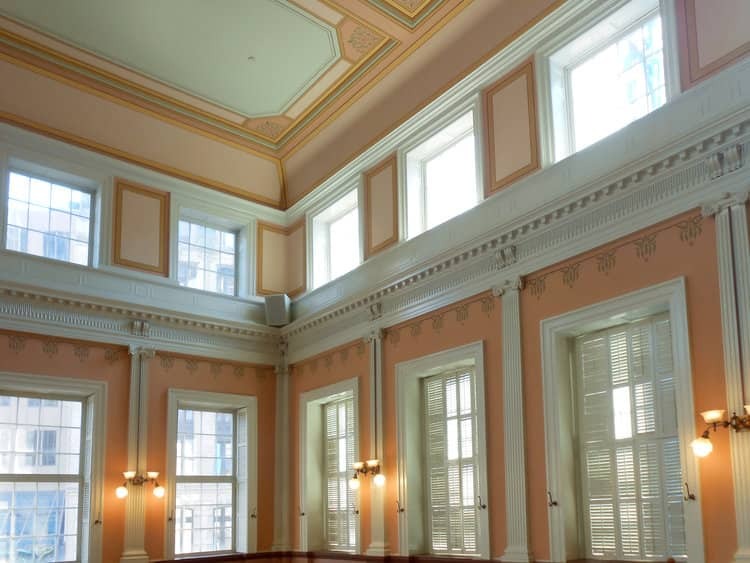 We have had the honor to restore historic state houses across the country, as well as a number of iconic buildings in Washington DC. 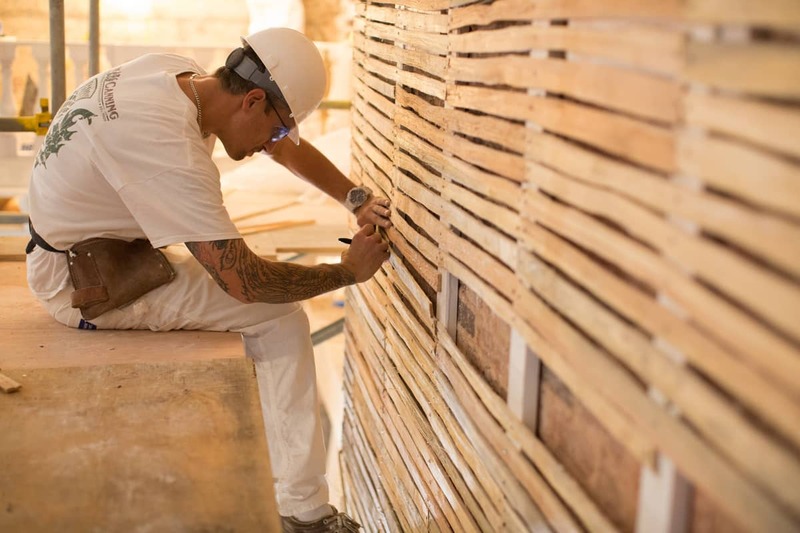 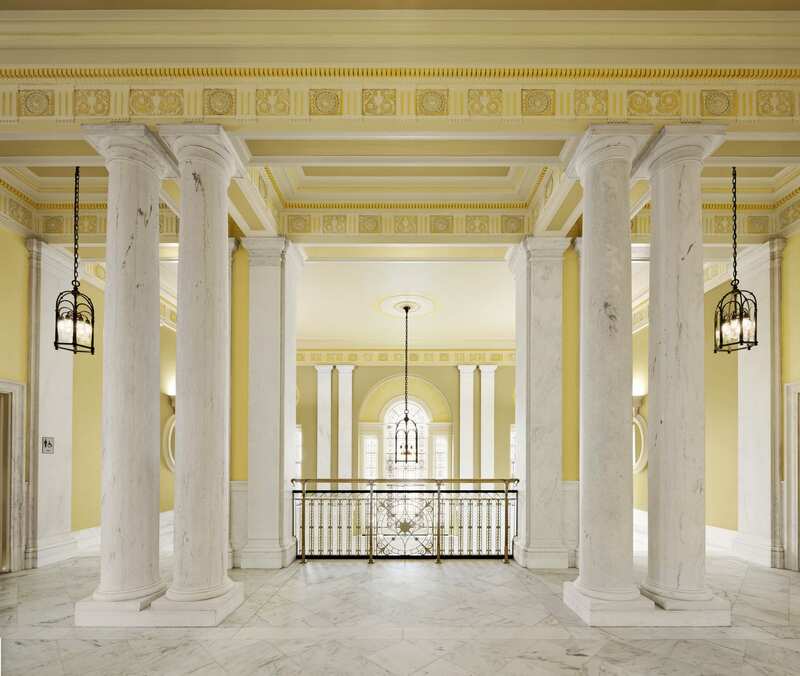 Among our federal building restoration contracts are the White House, the US Treasury Building, the Eisenhower Executive Office Building, and the National Building Museum. 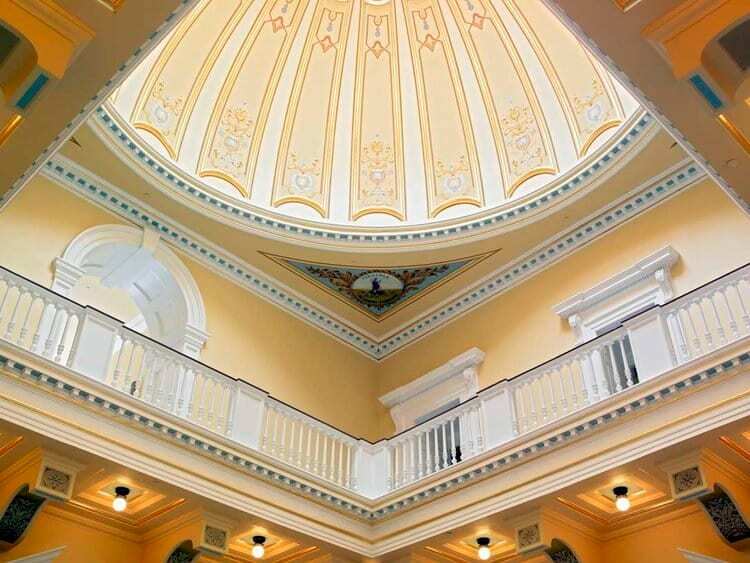 John Canning Co. provided paint analysis, exposures, pattern documentation, and historic restoration of Elmer Garnsey’s 1886 decorative paint, plaster, and woodwork design. 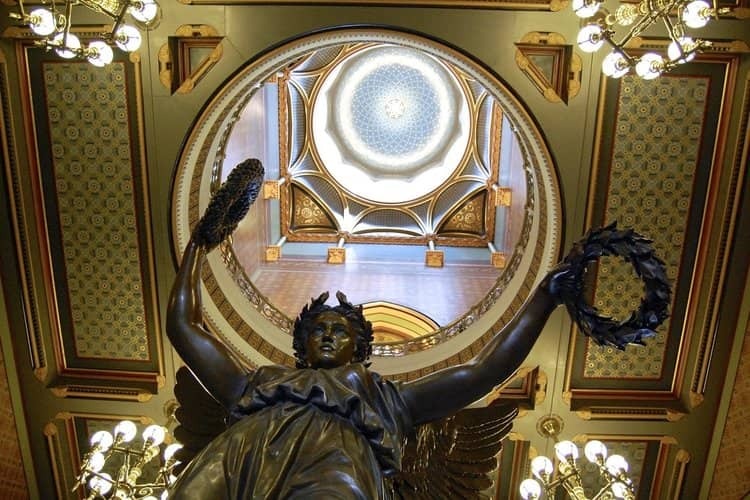 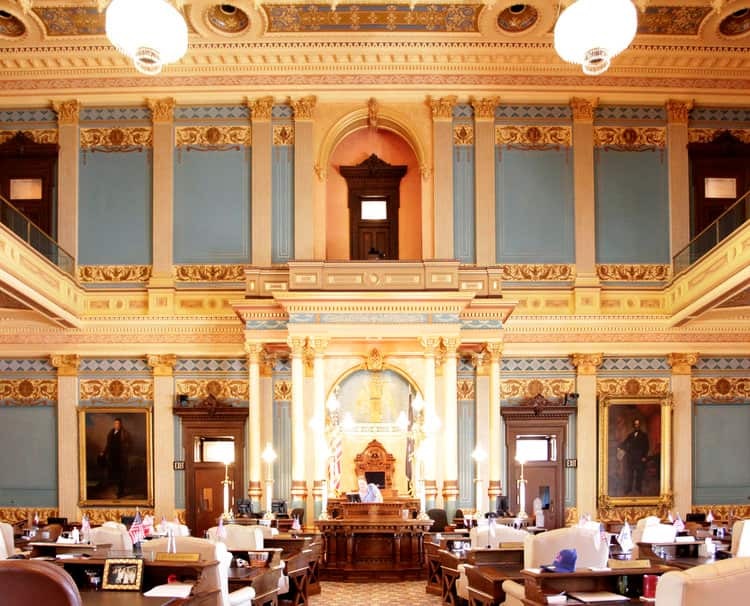 John Canning Co. projects at Michigan Capitol 1989-92 and 2016 required expert woodgraining matching skills, and innovation in plaster reattachment and distemper paint conservation, and every other decorative painting skill. 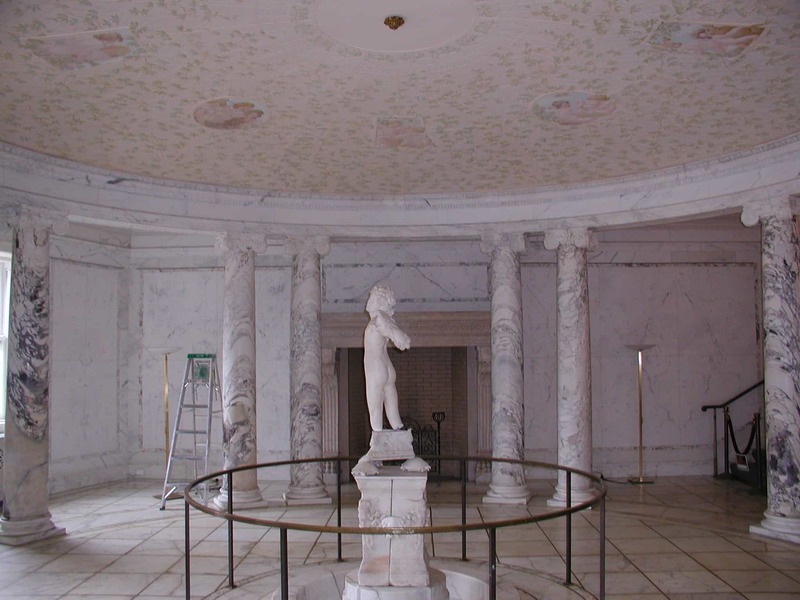 We skillfully restored the 1700s plaster walls and ornament in Maryland’s Old Senate Chamber using the original historic methods and materials of the time. 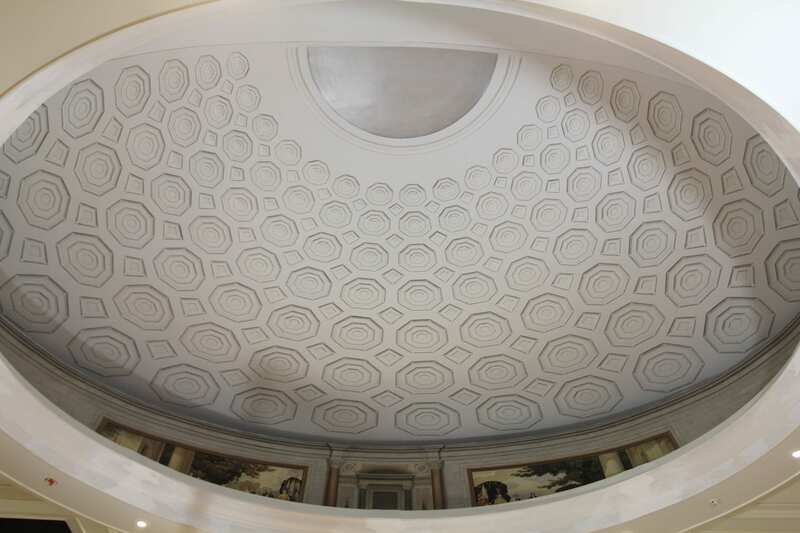 Our team of artists provided the Rhode Island State House conservation, cleaning, and restoration of the dome murals, painting, and architectural gilding. 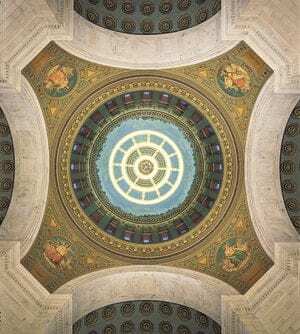 Our team was asked to assist with the design of a new mural of a shallow dome in the new visitor plaza, located below the Constitution exhibit hall. 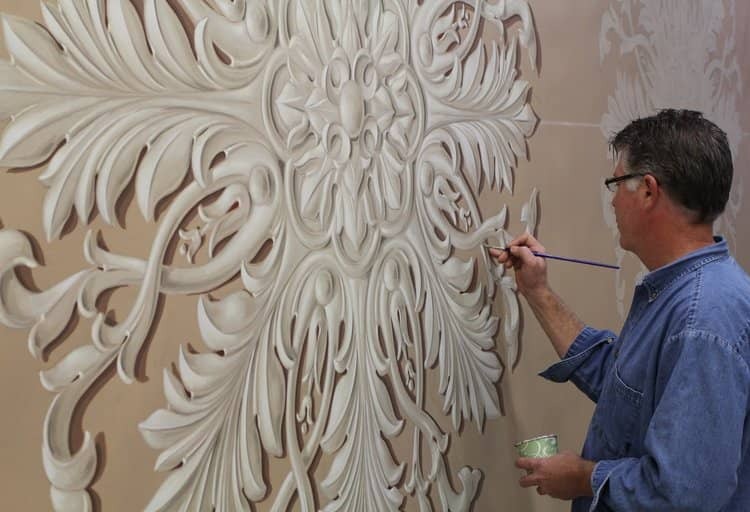 Our artisans were entrusted with the restoration and conservation of historic decorative painting and gilding originally designed by Thomas Jefferson. 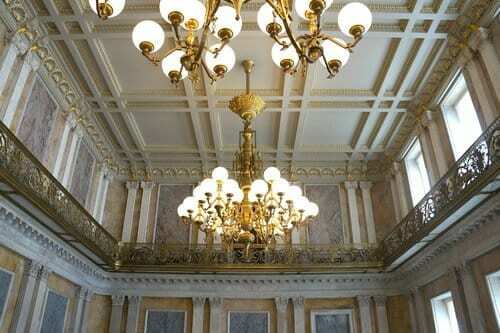 We provided historic paint analysis and restoration of decorative paint and plaster bringing Waterbury City Hall back to its historical glory. 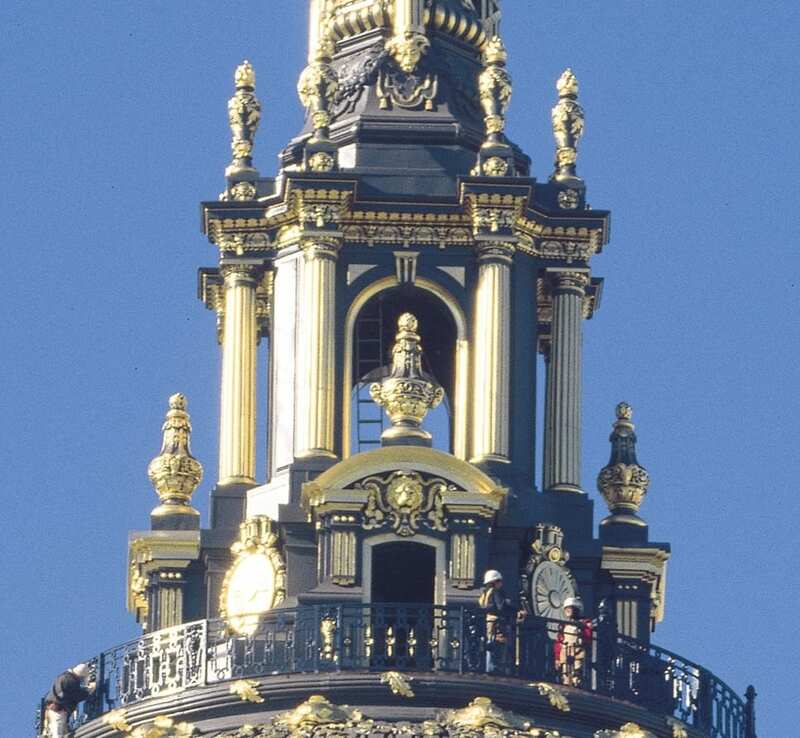 Our team carefully restored the decorative paint of the patinated railings in public stairwells and ornately gilded surfaces in the Main Treasury Building.